Escondido, located in the northeastern corner of North County San Diego off Interstate 15, was incorporated in 1888 and is one of the oldest cities in San Diego County. Escondido lays in a shallow valley surrounded by rocky hills, giving it a distinct natural landscape that adds to the beauty and charm the city has to offer residents and visitors. Escondido has a total area of 37 square miles, with some of the last available expanses of open land in San Diego County, which has sparked modest to rapid development and population growth in recent years. The city`s key neighborhoods include Downtown Escondido, which is comprised of commercial developments and shopping districts, and Old Escondido, which is made up of mostly single-family residential housing, with residential neighborhoods spreading out from the main downtown district into neighborhood blocks and countryside estates. Housing types include single-family detached residences, duplexes, and multi-family condominiums and apartments. 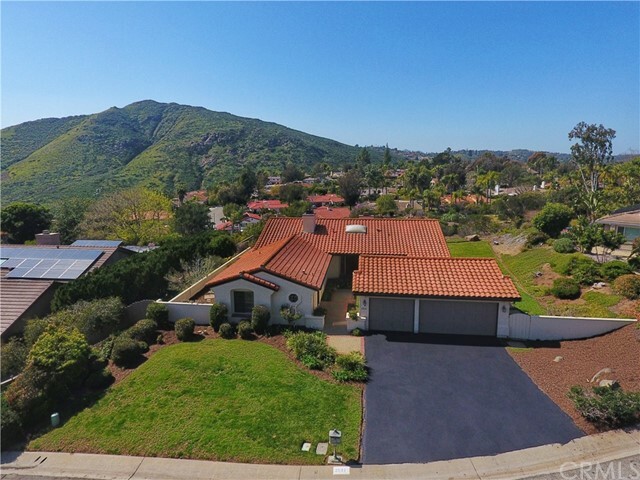 Because of Escondido`s expanse of rural and available land, many properties have modest to large lot sizes. Many residents and visitors enjoy the natural splendor of Escondido`s many parks and lakes, including Kit Carson Park, El Norte Park, Grape Day Park, Lake Dixon, Lake Wohlford, and Lake Hodges. Escondido also attracts many visitors to the Escondido Center for Performing Arts, which features two theaters, a visual arts museum, education complex, and conference center, as well as the Escondido Children`s Museum and the Escondido History Center, two non-profit museums that call Grape Day Park home. Escondido is also home to the Iceoplex, offering programs for figure skating, ice hockey, and lessons, as well as open public skating sessions. Escondido offers a blend of rural living with a suburban lifestyle, featuring many plazas and shopping districts, including the Westfield North County Mall, a major mall and shopping center serving North County San Diego, and Escondido Promenade, home to many national and regional retailers. Because of the immense stretches of available land, the San Diego Zoo opened a sister park, the San Diego Zoo Safari Park (once called the Wild Animal Park). This park features alternative zoological attractions, including the Africa tram, Safari Tours, Balloon Safari, and many other immersive exhibits and experiences that educate on the marvels of the species within the park. The city of Escondido is served by the Escondido Unified School District, Escondido Union High School District, and the San Pasqual Union School District, which in total combine for 19 elementary, 5 middle, and 7 high schools. The economy of Escondido covers a wide range of industries, with education, health care, and social services accounting for the largest percentage. Other industries that call Escondido home include retail trade, construction, professional, scientific, management, administrative, waste management services, arts, entertainment, recreation, food services, manufacturing, and others. Notable businesses with a presence in the local area include Palomar Medical Center, Nordstrom, The Home Depot, and Stone Brewing Company, which moved its headquarters from the neighboring community of San Marcos, to the Quail Hills area of Escondido. With a growing population of residents and businesses as well as the natural splendor at the base of stunning foothills, Escondido offers residents and visitors many attractive options for shopping, dining, and exploring the great outdoors.